It’s hard to believe that NBC’s sketch comedy series Saturday Night Live is turning 40 this year. We’ve known for some time that the network is putting together a special featuring past and present cast members, hosts and musical guests. Today NBC released a brand new preview for the live event that looks back at 40 years on the air through Saturday Night Live title fonts. It’s cooler than it sounds, so be sure to check it out, below. 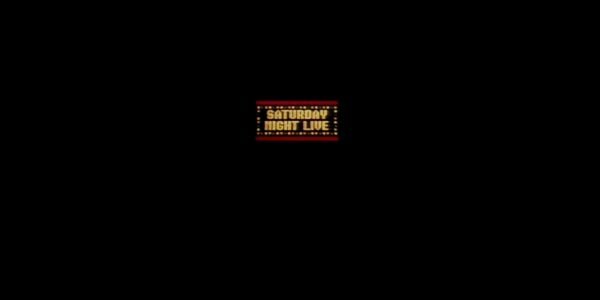 I’ve seen the early seasons of SNL, as well as some of the later ones, and I recognize some of the fonts, including the cute little title font with the blinking lights from early on in the show’s history. Seriously, how showbiz is this sign? Still, I didn’t realize the show went totally weird in the eighties with a scribbled font, or maybe I just never paid attention. Regardless, this bit is enough to get me excited about the upcoming special that has been in the works for months but has mostly been dormant. We know the special will air on February 15, 2015 and that a slew of famous names plan to be involved. However, NBC has kept mum about who is committed and who is not. Now that 2015 has finally hit, hopefully the network will start dropping some names along with these teasers. NBC’s not the only network that is excited to celebrate SNL’s 40th Anniversay. Weirdly enough, VH1 Classic also plans to get in on the action and is boldly going where no one has gone before. The network will air 19 days of Saturday Night Live episodes, kicking off on Wednesday, January 28 and running through February 15. That’s right, the last episode of the marathon will run from 6:30-8 p.m. ET—leading right into NBC’s 3-hour special that celebrates 40 years of SNL. It’s hard to imagine anyone just camping out on their couch to watch 19 days of SNL, although kudos to anyone with the time on their hands to try. That’s 433 hours of Saturday Night Live. Just knowing that many hours of the show are available is pretty impressive. Even if you haven’t been a fan of every SNL amalgamation over the years or have drifted from the long-running series over time, it’s a fantastic achievement for any show to be able to rebrand and reimagine its purpose for that long. SNL Season 40 returns to the schedule on January 17, with Kevin Hart as the host and Sia as the musical guest. Blake Shelton’s first SNL appearance will follow one week later, and he will act as both host and musical guest. To find out when some of you other favorite programs are returning, check out our 2015 midseason TV schedule.